I have said earlier that I would do posts about my gear, and I will start about a post about my sleeping gear! The first thing on the list is my tent! I have read about many bike touring people that have chosen light weight tents, and also recommended other people to do that. Myself, I felt that I would live in it for about a year, and did not know what adventures I would embark on. 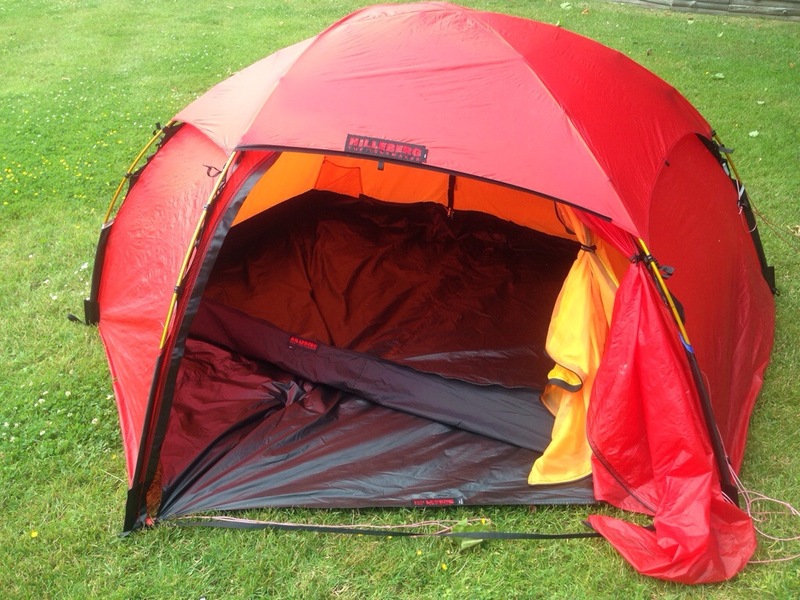 Therefore, I wanted a really robust tent, that I could also use for other adventures before and after the bike trip, that would not need to be pegged down (so that I could pitch it at a parking lot if needed) and also had space enough to feel like a small home for me. My choice fell on Hilleberg Allak, as I have always had great experience with all the Hilleberg tents, and I really like the easy solutions. It has two openings, one on each side. It also has small went openings in the roof on the outer tent beneath the overlaying cloth, and on good nights, you are able to open it up, take away the cloth and see the stars. The inside is, as you see, able to really open up. When there are not many animals and you would like to have an open place, you can get it really open. Also, the mosquito nets inside are really big. From top left> The black pillow is actually a MSR Dromedary Bag, made to hold 10 liters of water. It is really durable, and I read about the tips of using it as a pillow, and it really works! Then, we have the mattress. I have used Exped SynMat M UL earlier, an inflatable mattress, and it is too short, and also not really super durable as it is a UL mattress, but really light. Instead, I choose an Exped SynMat LW, so it is bigger (longer than me is a big plus) and also more durable. Sure, it is a tad heavy, but as long as it is on the bicycle, I don’t mind. The dimensions is 197x65x7 centimetres. The yellow packsack is a Exped Schnozzle Pump Bag. It is a lightweight packsack that you can connect to the mattress, fill the sack with air, and push it into the mattress. It saves time and energy, and it really is wonderful! My sleeping bag is a Marmot Plasma 15. It is rated down to -9 degrees celsius according to the EN standard, and as long as it is warm, I use it as a blanket. As it weights 900 grams, I do not see the point to buy a new summer sack that weights 300 grams less, and I will also sooner or later come to colder climates. 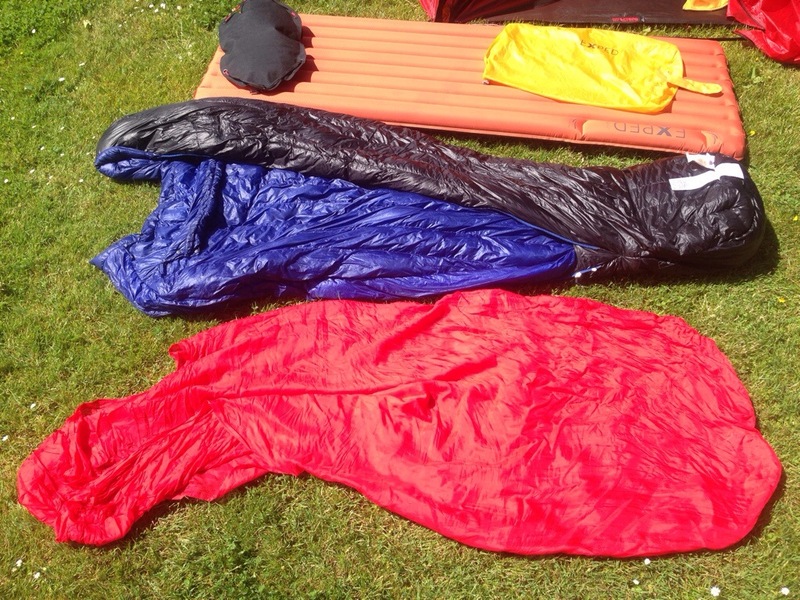 The red sheet is a silk sheet, formed as a sleeping bag, and made to be used as it is, or inside of the sleeping bag. 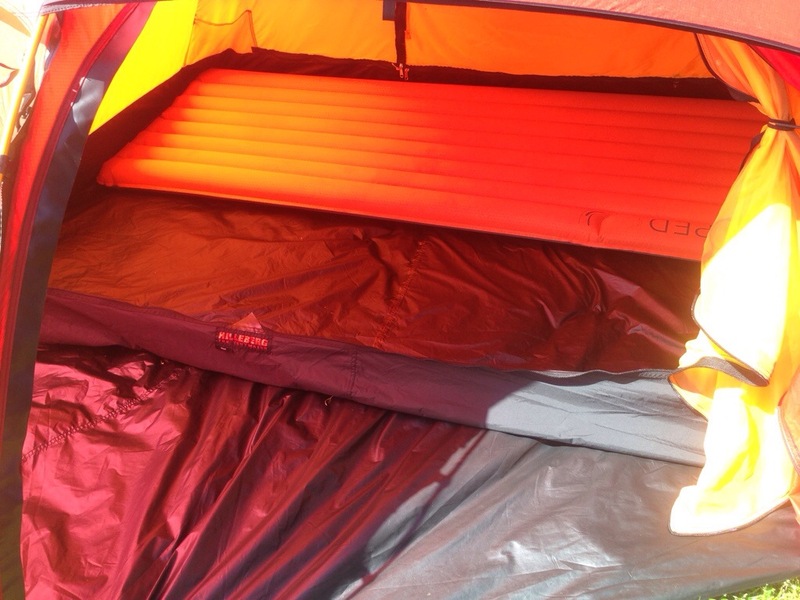 It gives some extra warmth, and is also great at the warm evenings or mornings when the full sleeping bag is not needed.